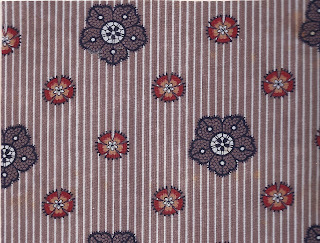 A small to medium motif printed diagonally. This is an old weaving term that also applies to printed goods. Chintz had fallen out of favor by the 1840-50s. Red and Green applique quilts of that period feature a variety of foulards in strong reds and greens. The price of green dye had dropped and a wide variety of small neat intense green prints were available. Foulards became increasingly popular as dressgoods during the 1860s. 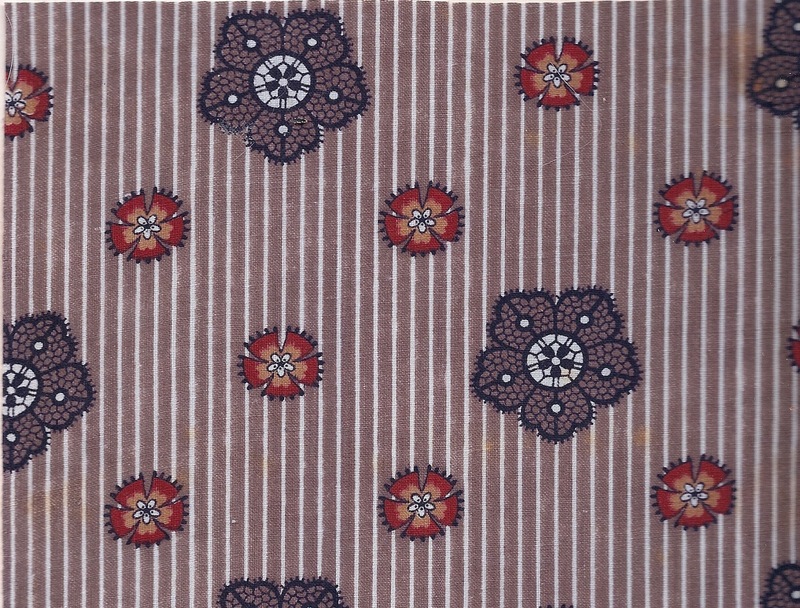 This is an early ( Dargate Book c. 1830) trailing vine style background with a small/medium foulard print set on the diagonal. My 1863-5 book....Dressgoods foulard style design. Printed stripe background with motifs set on the diagonal in a popular Civil War Era coloring....dull lavender.